Attention smartphone owners: It’s time for an important software update. New versions of the Google Android and Apple iOS mobile operating systems are being pushed to users this week to fix security issues, add new functionality and other cool features. 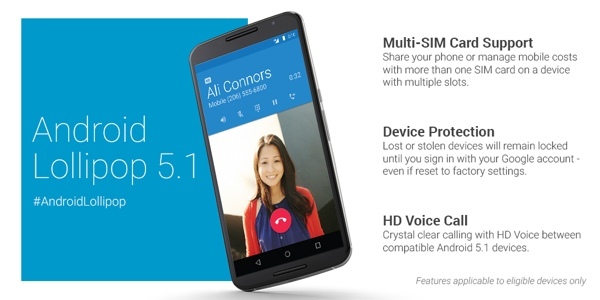 The new versions are iOS 8.2 and Android 5.1, respectively. 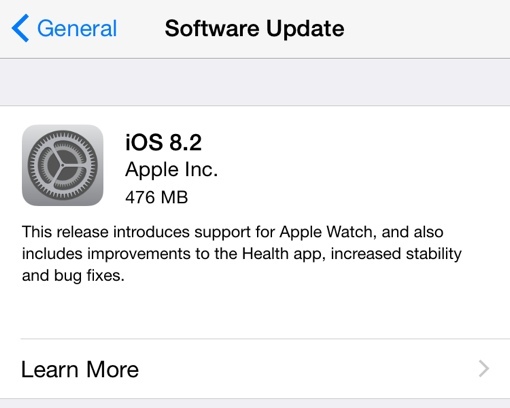 For Apple iPhone owners, the iOS 8.2 update adds support for the newly announced Apple Watch, including a new app to sync and pair it. A number of related updates are being made to the Health app in preparation of ResearchKit, Apple’s new platform for monitoring patients in clinical trials. And a handful of stability enhancements and bug fixes are also in the mix. For iPhone and iPad owners, iOS 8.2 fixes the notorious FREAK security flaw we discussed here on Techlicious last week. The fix will prevent hackers from downgrading the encryption level of your web traffic, making it much more difficult to conduct man-in-the-middle attacks on your mobile device. You can learn more about the FREAK vulnerability and verify that your Apple device has been successfully patched post-update by using it to visit freakattack.com. Android owners, meanwhile, are getting an entirely different set of new features. Specifically, this includes multi-SIM card support for devices with multiple slots and support for HD Voice calling. Android phones are also getting new remote kill-switch-type device protection that persists even if your phone is reset to factory default – a step beyond the protection offered by Android Device Manager. If you’re an Apple device owner, you should upgrade your operating system as soon as possible due to the security implications. You can do so on your device by tapping Settings > General > Software Update > Download and Install. The update is 476MB (iPhone); you’ll want to make sure your device is connected to Wi-Fi and a power source when you do so. There are more question marks for Android owners, since certain devices may not get the update and some devices will see the update sooner than others. You can check to see if an update is currently available for your device by tapping Settings > About (under System) > System Updates.